Smart Allergy Friendly Education: Milk-Free Pre-Packaged Cold Cuts from Hormel...they really exist! Milk-Free Pre-Packaged Cold Cuts from Hormel...they really exist! Having difficulty finding pre-packaged cold cuts that don't have some form of milk in them? Are you finding some version of 'lactate' or 'lactid acid' in them? Both of these ingredients indicate milk possibilities and seem to be in most cold cuts, pre-packaged or not. 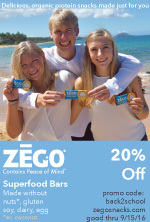 Here's an option that may offer a nice alternative for your family. 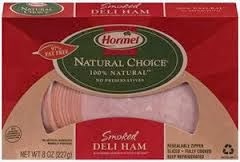 Hormel Natural Choice line, distributed by Hormel Sales, LLC. The following information is stated on their packaging: No Nitrates or Nitrates added (except for those naturally occurring in natural flavor), No Artificial Ingredients, Minimally Processed, No MSG added, Raised without added Hormones (Federal Regulations Prohibit the Use of Hormones in Pork) and Gluten Free. The listed ingredients for the Smoked Deli Ham include: water, salt, turbinado sugar, natural flavor, lactic acid starter culture (not from milk). 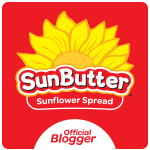 Their focus on allergy~friendly products is something to be noted. Along with the Big 8 allergen link you will also find a Gluten Free link, both promoting the many allergy~friendly products they offer. Who knows...ham sandwiches and a little mustard may become your child's favorite packed lunch! That's been the case in my home.